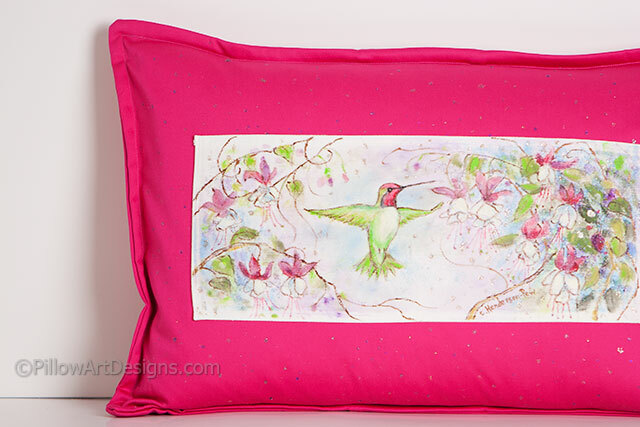 A beautiful emerald green hummingbird whirring amongst pink and white fuchsia flowers, is the focus of this gorgeous hot pink accent pillow. 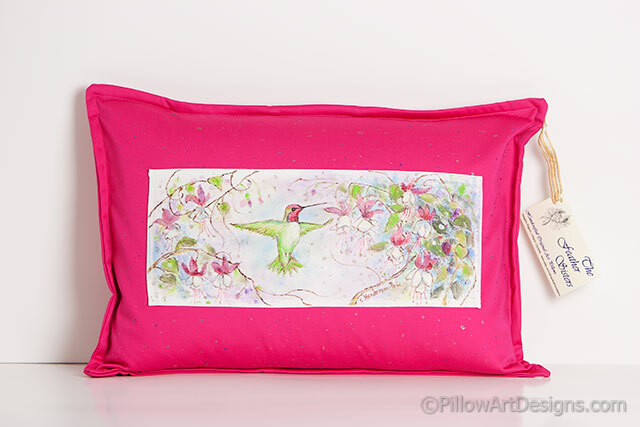 We've used a hint of sparkle in the paint which gives it just the right touch of glitter and makes the pillow come alive. These bright decorative colours will really give your space an interesting, unique and artistic spark. All Feather Sisters artwork is painted and signed by Canadian artist Carol Henderson-Pew. 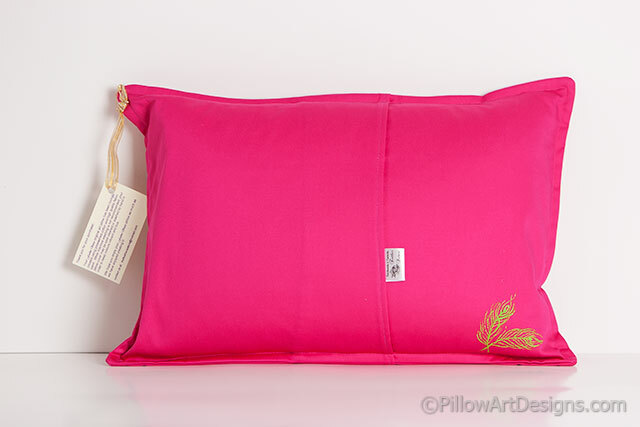 Carol also hand paints our Feather Sisters logo on the back bottom corner of each art pillow.